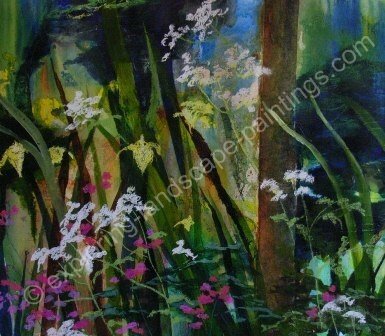 I will regularly up date the gallery so please visit frequently. 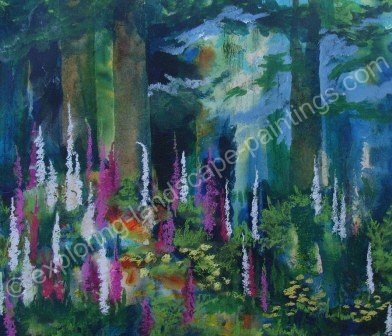 The paintings are all framed to the highest quality in neutral wooden or lime-washed frames. I am happy to send you a photo by email, showing the framed painting and to provide sizes. Prices do not include post and packaging. If you are interested in purchasing any of the paintings or wish to enquire about commissions please get in touch via the contact page. 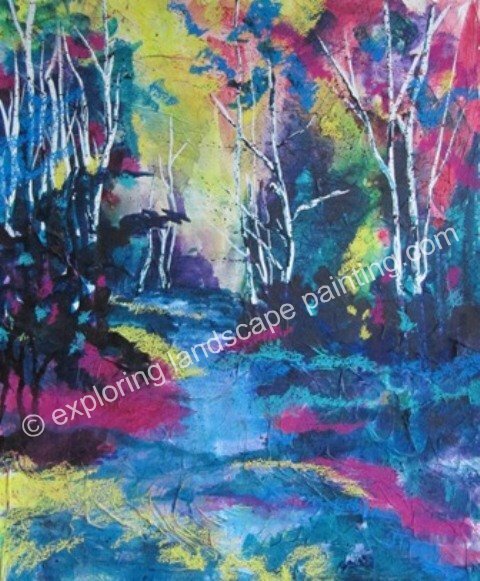 A colourful painting showing the striking trunks of silver birch trees. 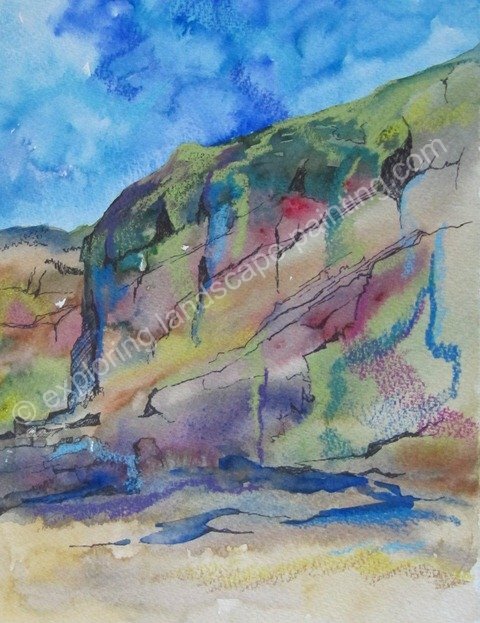 A snapshot of beautiful seaside cliffs. 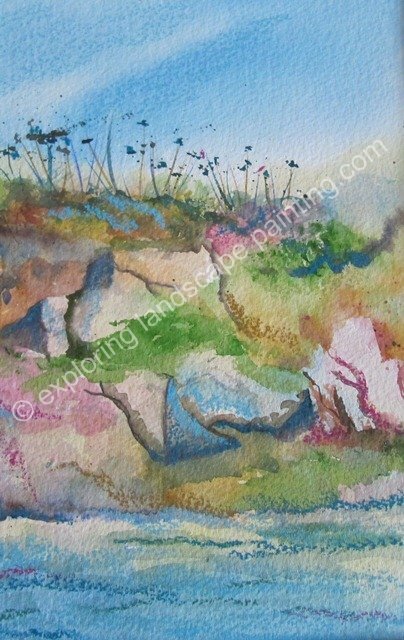 A striking mixed media painting exploring the contrast of cliff and foliage. What do you see when you look across the road? 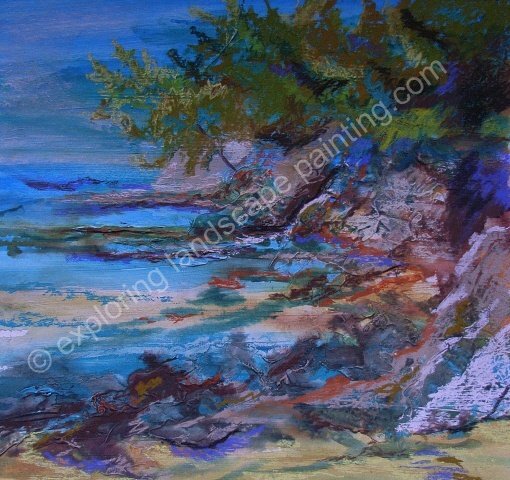 Zingy colours make this rocky medittereanean beach come to life. I feel ... a painting that helps you to stop and think. A beautiful, peaceful, yet striking painting. Is this the style of painting you would like to own? 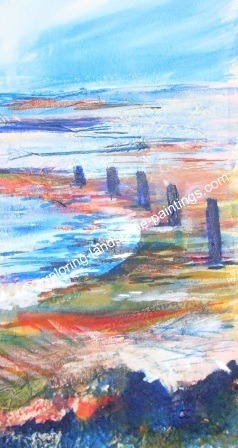 Do these paintings 'float your boat'. Art always creates a strong response... what is yours??? Please enter a title for your comments. 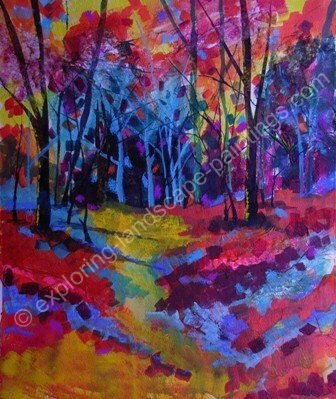 Rhythm and movement are the essence of this lovely painting. 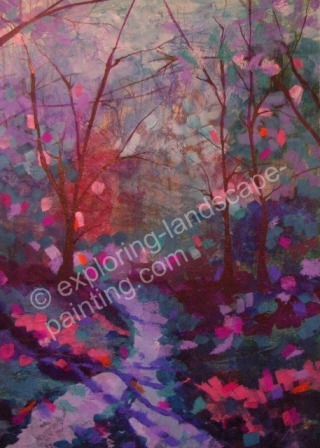 An interesting mixed media painting exploring trees. 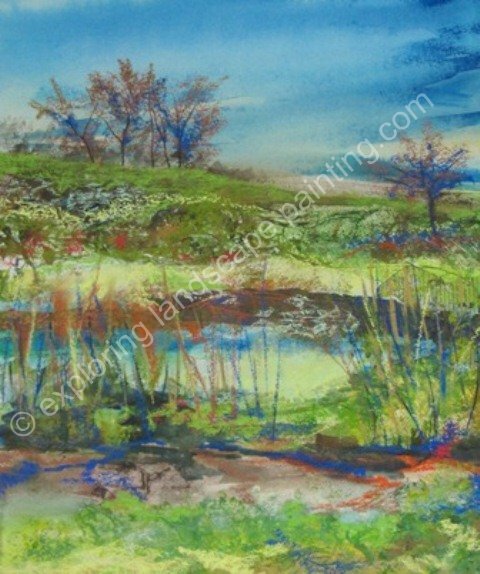 A peaceful mixed media painting depicting typical landscape of the Ridgeway, Wiltshire. Examaning a tiny part of the landscape means you may find 'Hidden Treasures'. 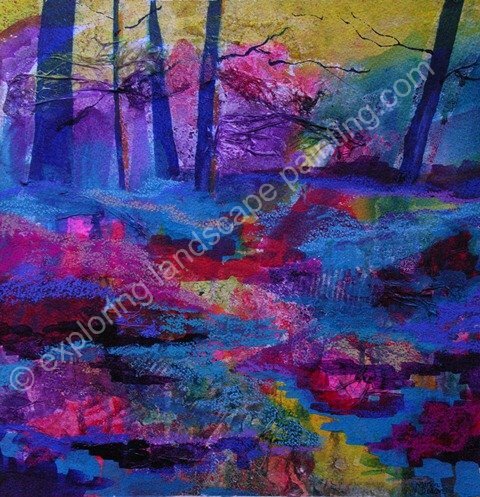 A beautiful mixed media painting. A carefully observed painting of the seashore. 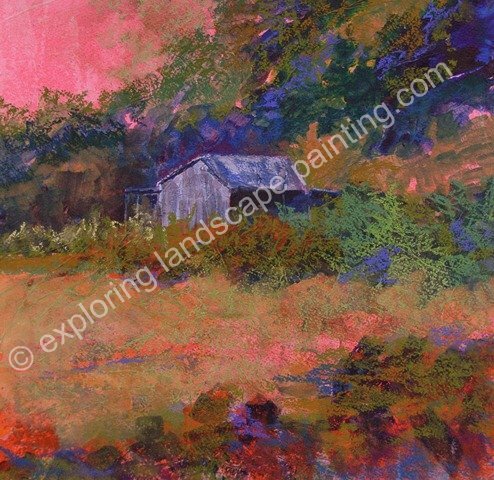 Mixed media has been used to capture the exciting textures of this ever changing landscape. 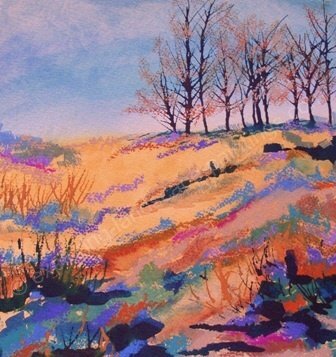 Unusual colours and the clever use of mixed media helps to create this peaceful and unusual painting. 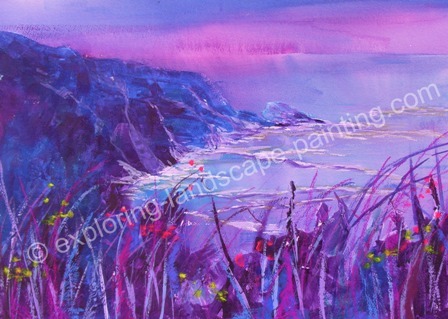 A simple scene has been painted in a eye catching style with unusual colour palette. A truly unique mixed media painting. If you want to find out more about any of the paintings in this Gallery please use the contact page.